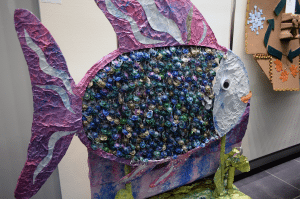 “Lakeville’s Pearlescent Peacock” by Lakeville Elementary School was given Honorable Mention in the group category. 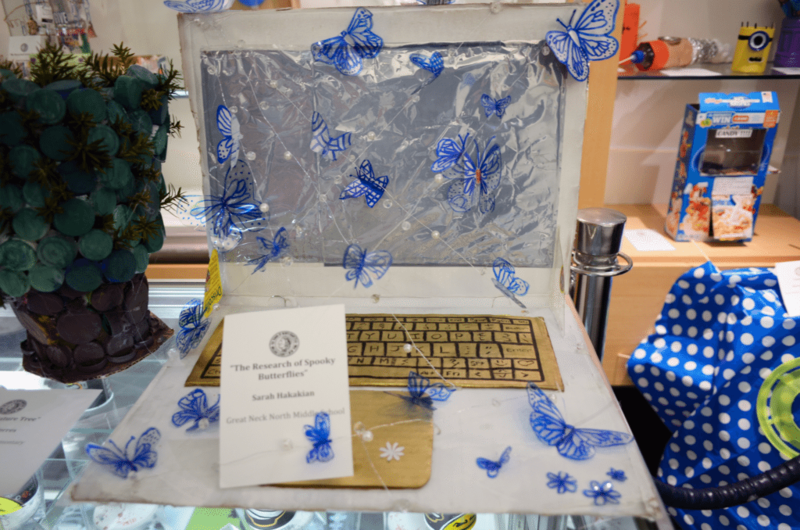 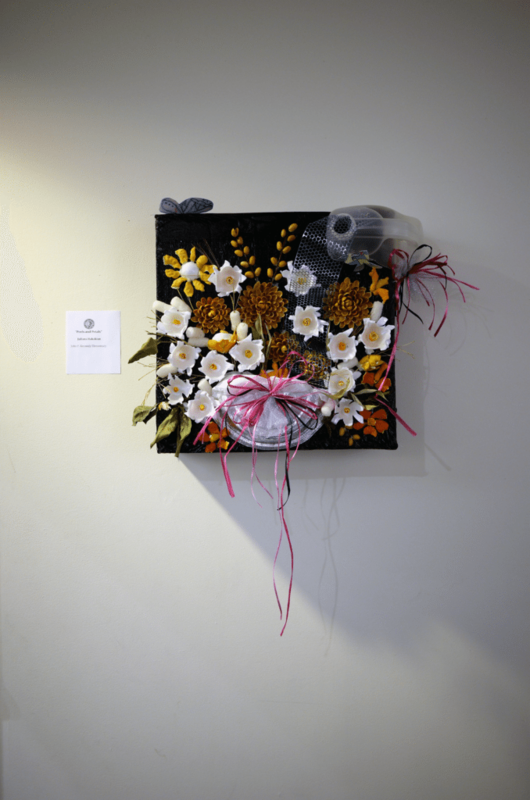 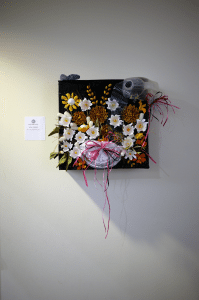 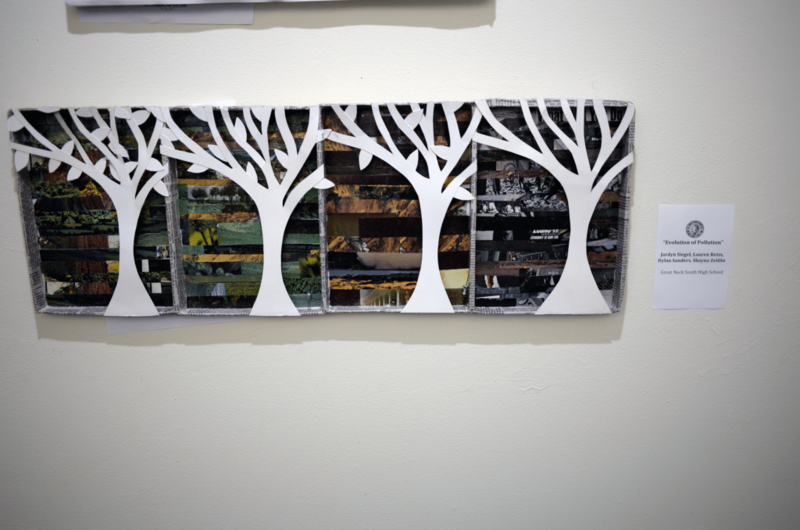 On Monday, Dec. 7, the Gold Coast Arts Center displayed the entries for the 7th Annual Recycled Artwork Contest. 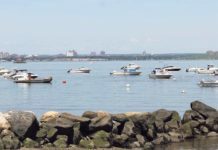 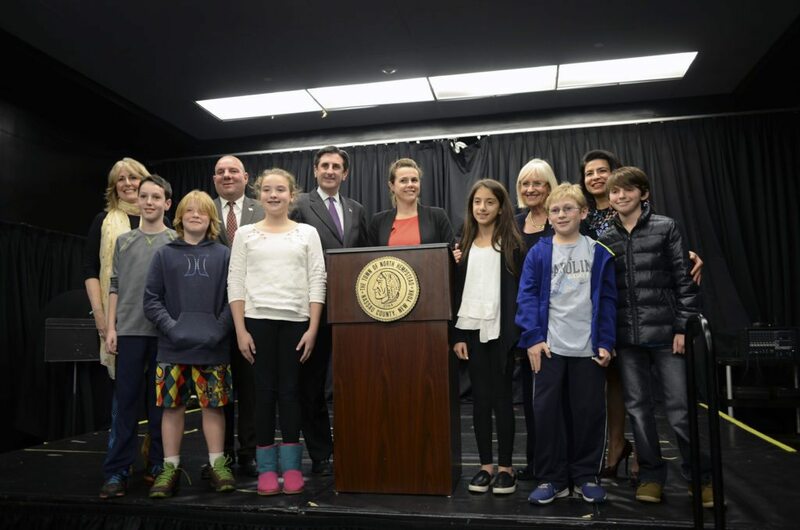 Among those who were present at the opening event award ceremony were North Hempstead Town Supervisor Judi Bosworth, members of the Office of Sustainability and members of the town board. “Rainbow Color Spectrum” by E.M. Baker School was given Honorable Mention in the group category. 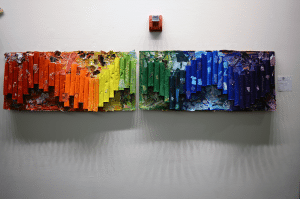 For the project, students used recycled materials, from socks to bottle caps, to craft creations of both individual pieces and larger group pieces. 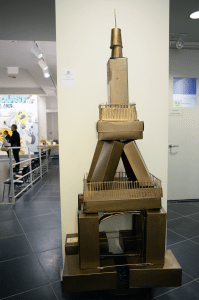 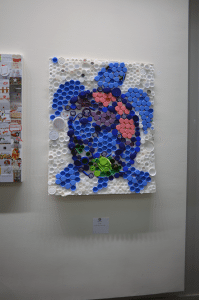 All of the works exemplified the idea of Recycle, Reuse and Rethink, which was the thematic message of the exhibit. 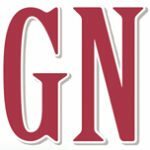 This year, every school district had at least one entry, and submissions to the contest ranged from the elementary, middle and high school levels with more than 1,000 student participants. 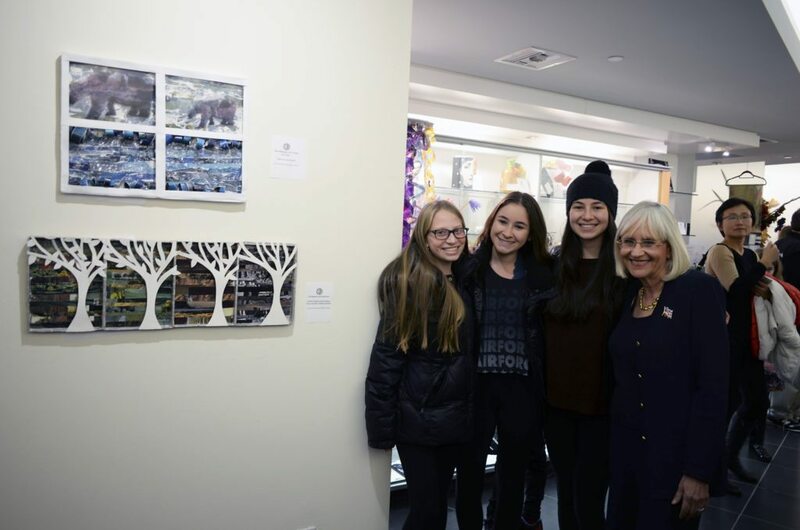 “Evolution of Pollution” by Jordyn Siegel, Lauren Reiss, Dylan Sanders and Shayna Zeitlin of Great Neck South High School was given honorable mention in the high school category. The entries recognized at the ceremony were awarded for environmental message, best use of recycled materials, creativity and best overall. Each of the four categories—elementary school, middle school, high school and group—also gave honorable mentions to various projects that earned recognition. 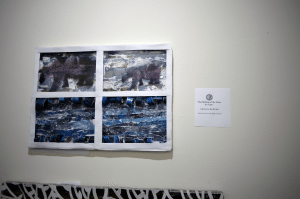 “Pray for Peace” by Lior Cole of Great Neck North High School was named Best Overall in the high school category. 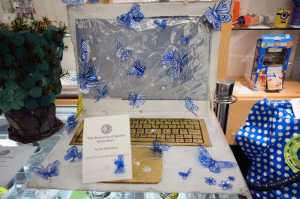 “The Research of Spooky Butterflies” by Sarah Hakakian of Great Neck North Middle School was awarded for its creativity in the middle school category. 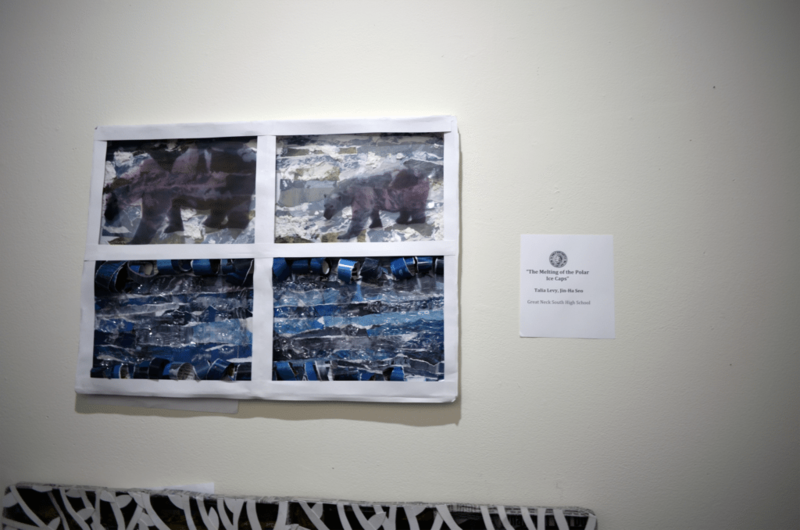 “Melting of the Polar Ice Caps” by Talia Levy and Jin-Ha Seo of Great Neck South High School was awarded for its environmental message in the high school category. Art teachers who guided these students in their winning projects were Cliff Broffman and Monica Casazza, Lakeville; Tara Caviris and Kristin Kirleis, Baker; Linda Hasse Kane, Parkville; Kristin Kirleis, North Middle; and Lisa Stancati, South High. “Cap Turtle” by Great Neck North Middle School was awarded for Creativity in the group category. 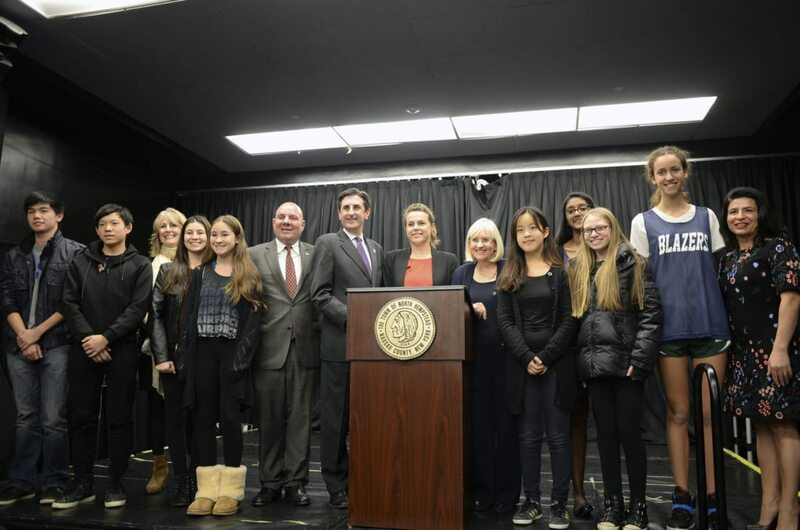 Winning students were presented with certificates of recognition. 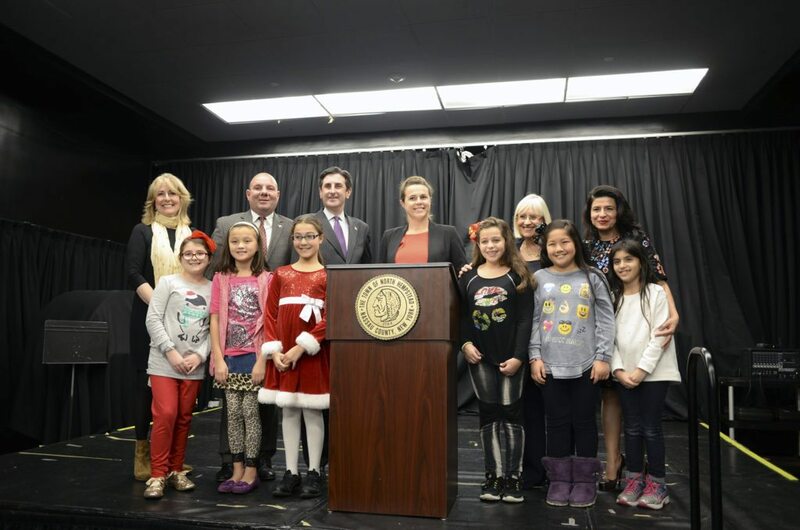 However, the emphasis of the event was placed not on the awards but on the motivation behind this undertaking. 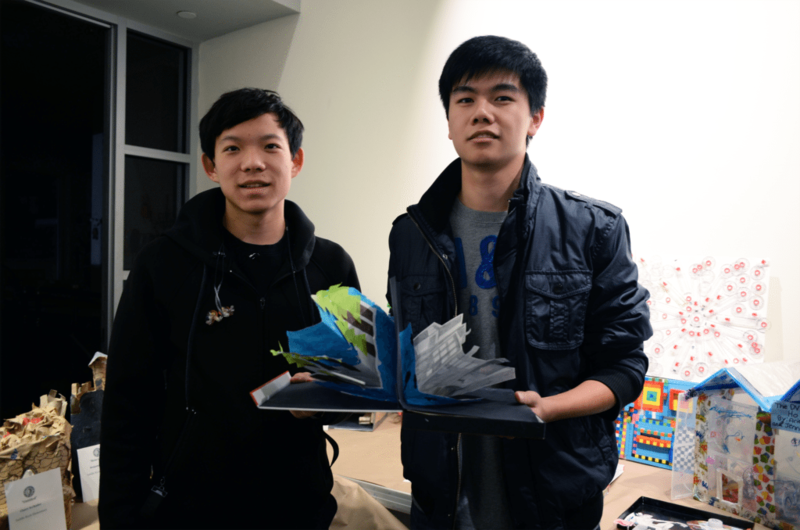 “Pop-Up Book” by Zhiming (Jay) Chen and Steven Chen of Great Neck South High School was awarded for Creativity in the high school category. 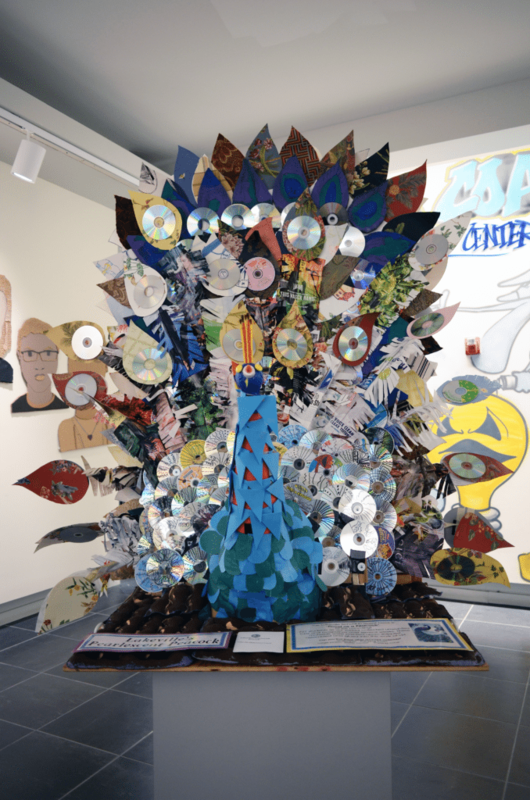 “Peels and Petals” by Juliana Hakakian of John F. Kennedy Elementary School was awarded for the Best Use of Recycled Materials in the elementary school category. 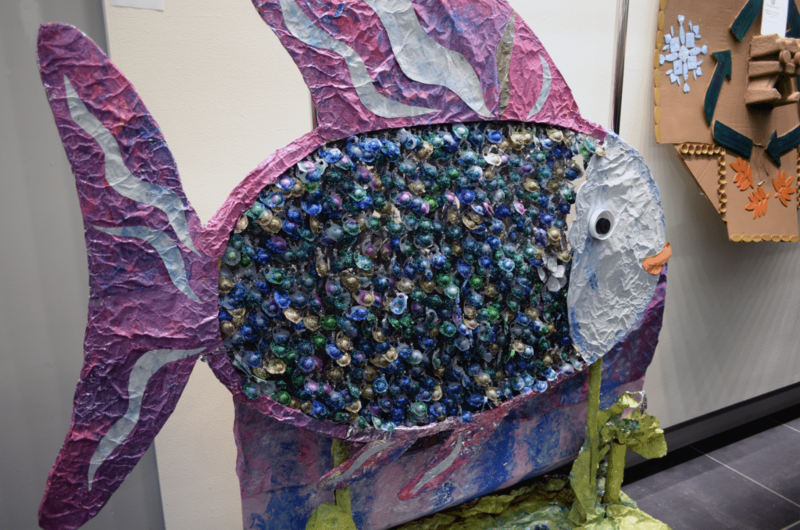 “Recycled Rainbow Fish” by Parkville School was awarded for its environmental message in the group category. 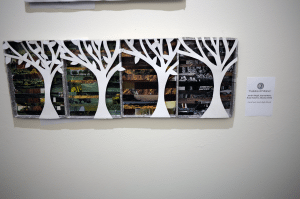 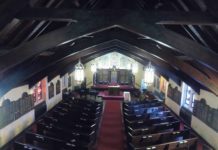 All submissions will be open to the public for viewing at the Town of North Hempstead’s Gold Coast Arts Center through Jan. 1. 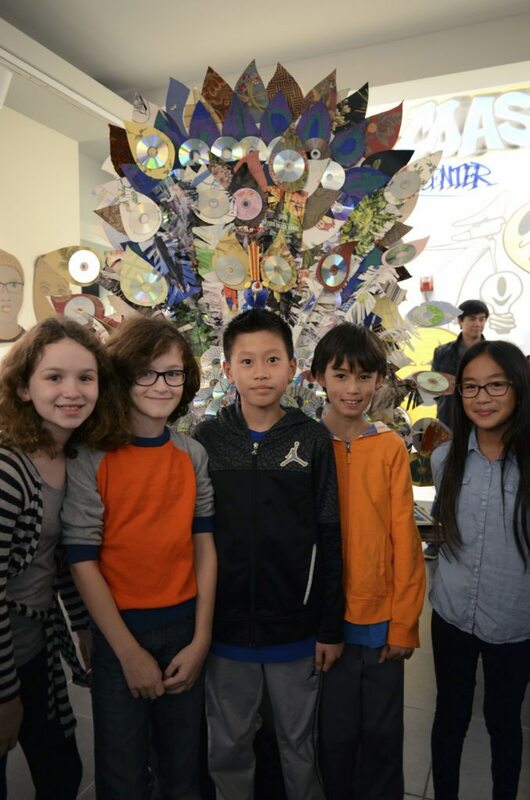 Students from Lakeville Elementary School stood with “Lakeville’s Pearlescent Peacock.” Pictured, from left, are Kylie Brown, Cooper Brown, Ryan Wong, Sebastian Lennox and Ashley Wu. 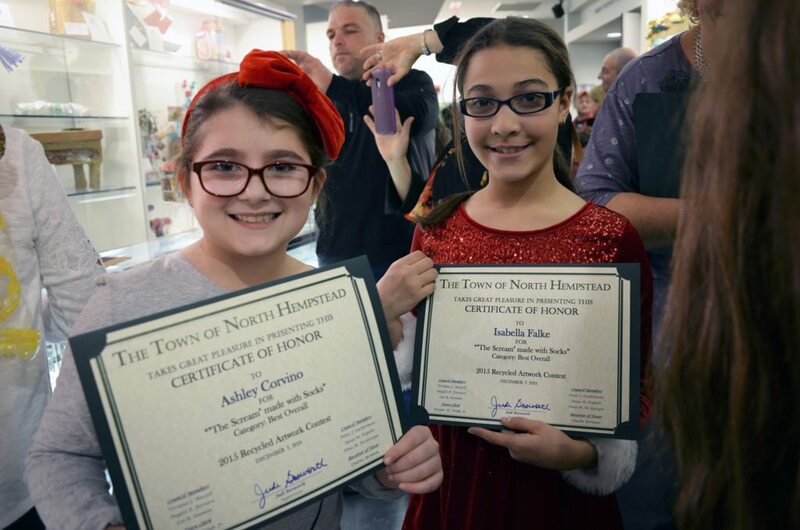 Ashley Corvino and Isabella Falke, creators of “The Scream” from Notre Dame Elementary School, pose with their certificates, recognizing their work as best overall in the elementary school category. Winners in the elementary school category joined Coast Arts Center’s Regina Gil, Supervisor Judi Bosworth, members of the Office of Sustainability and the Town Board on stage. Winners in the group category joined Supervisor Judi Bosworth, members of the Office of Sustainability and the Town Board on stage. 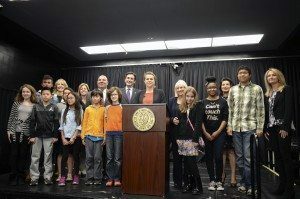 Winners in the middle school category joined Regina Gil, founder and director of the Gold Coast Arts Center; Supervisor Judi Bosworth; members of the Office of Sustainability; and the town board on stage. 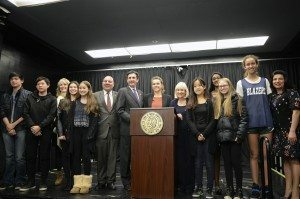 Winners in the high school category joined Supervisor Judi Bosworth, members of the Office of Sustainability and the Town Board on stage.